Chris leads the OSIsoft engineering teams on their relentless pursuit to connect sensor-based data, operations and people to enable real-time intelligence. 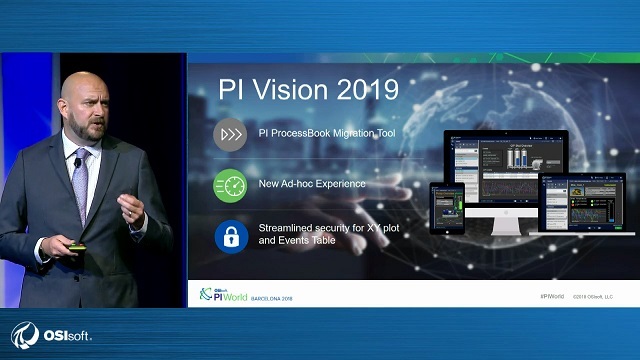 At OSIsoft we believe people with data can transform their world and we are continuously enhancing the PI System to capture and leverage sensor-based data across the enterprise to improve efficiency, sustainability, quality and safety. Chris is responsible for the design and development of software systems at OSIsoft including all aspects of the PI System. Chris joined OSIsoft in 2002 as a software developer focused on extending OSIsoft’s position within the Life Sciences Industry by enhancing existing batch products and developing new products and capabilities. Prior to joining OSIsoft, Chris worked for Merck & Co., Inc., as a Technical Manager in both Clinical Trial Systems and Manufacturing Process Information Systems. Chris has demonstrated advanced expertise in streaming data and events infrastructure having designed manufacturing information and data analysis systems as well as participating in various control system implementations. Chris holds a B.A. in Mathematics from Rutgers University.